Dr. Ramya M N is a trusted Dermatologist in Kanakapura Road, Bangalore. She has helped numerous patients in her 5 years of experience as a Dermatologist. She has completed MBBS, MD - Dermatology , Venereology & Leprosy . She is currently associated with Healios Cosmoderma in Kanakapura Road, Bangalore. She has received 28 excellent reviews from her patients who are happy with her treatment. 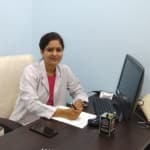 Book an appointment online with Dr. Ramya M N and consult privately on Lybrate.com. Find numerous Dermatologists in India from the comfort of your home on Lybrate.com. You will find Dermatologists with more than 34 years of experience on Lybrate.com. We will help you find the best Dermatologists online in Bangalore. View the profile of medical specialists and their reviews from other patients to make an informed decision. We are here to help you in taking care of your skin as we know you don’t want your skin to get sunburnt or or tanned due to the scorching heat. The skin is the largest organ in the human body . It is in constant interaction with the external world protecting your body from all kinds of insults. India is a tropical country and the summers are harsh. Thanks to our brown skin, we are naturally protected from the adverse effects of sun exposure. 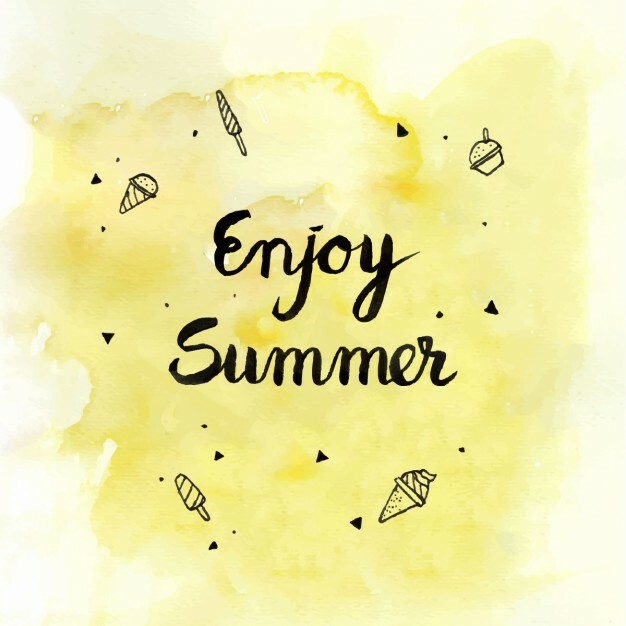 However, our skin needs supplemental care, especially in summer. The melanin pigment of skin absorbs sunlight( UV light) and protects our skin from harmful effects of UV light. The darker the skin, more is the melanin and better is the protection. This is the reason why incidence of skin cancers in India is remarkably less when compared the west. UVC – 200-290nm – lethal to all the living organisms – completely filtered out by ozone layer. 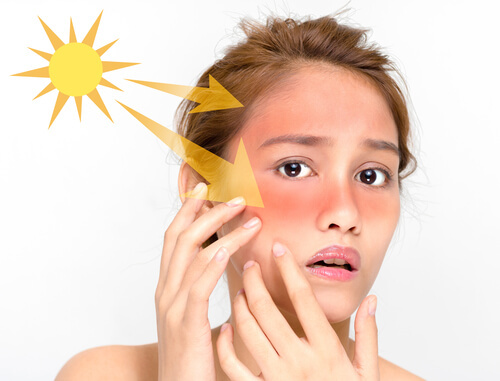 We all know sun burn and tanning are the most common adverse effects of unchecked sun exposure, though sun burn is common in light skinned people and tanning is common in dark skinned individuals. UV exposure may also suppress the immune function, cause premature ageing of the skin, photo carcinogenesis and also implicated in cataract formation. Some individuals who are prone may also develop solar urticaria, polymorphous light eruptions, chronic actinic dermatitis and many more UV related skin diseases. Avoid going out in the sun from 10 am to 4 pm. UV index is high in this time period. Use sunscreens in advised amounts – The teaspoon rule of applying sunscreen is as follows: Apply slightly more than ½ teaspoon (~3ml) to each arm, to the face and the neck. On each leg, the chest and back, apply slightly more than a teaspoon (~6ml). Physical sunscreens provide a better protection and chances of allergy to them are low. They usually contain titanium dioxide as the active agent. Physical protection is the best form of sun protection. Cover-up garments, garments that cover the arms, legs and torso, umbrella use, wide brimmed hats and sunglasses are recommended for greater UV protection. Colored fabric has greater UPF. Greater the distance of a fabric from the skin, better is the photoprotection. UVB is required for synthesis of vitamin D precursors in the skin. However studies have failed to establish a proven association between sunscreen usage and vitamin D deficiency. It is also important to note that most of the Indians are Vitamin D deficient irrespective of the sunscreen use. Vitamin D plays an essential role in bone health, also seem to have some protective roles in preventing colorectal cancers, breast cancers, prostate cancers and non-Hodgkin’s lymphomas. We recommend the encouragement of dietary enrichment or supplementation by vitamin D. Some of the food items rich in vitamin D include fatty fish species like cat fish, salmon, tuna, fish liver oils like cod liver oil;. vitamin D fortified food products like packaged milk and juices are also available. Use the products suitable to your skin type. You may need to change your facial cleansers, moisturisers and sunscreens in summer. Your skin is generally not as dry in summer as it used to be in winter. So a light moisturizer may be preferred in dry skin types and normal/oily skin types may not require one or use gel/ lotion based ones. You sweat more and dust settling on skin is also more in summer. So use a cleanser containing hydroxy acids for better cleansing action provided your skin tolerates them. Use cleanser 2-3 times a day, excessive cleansing may lead to dryness as well as acne. However you wash your face just with plain water if you sweat more. Follow the sun protection advice as mentioned above. 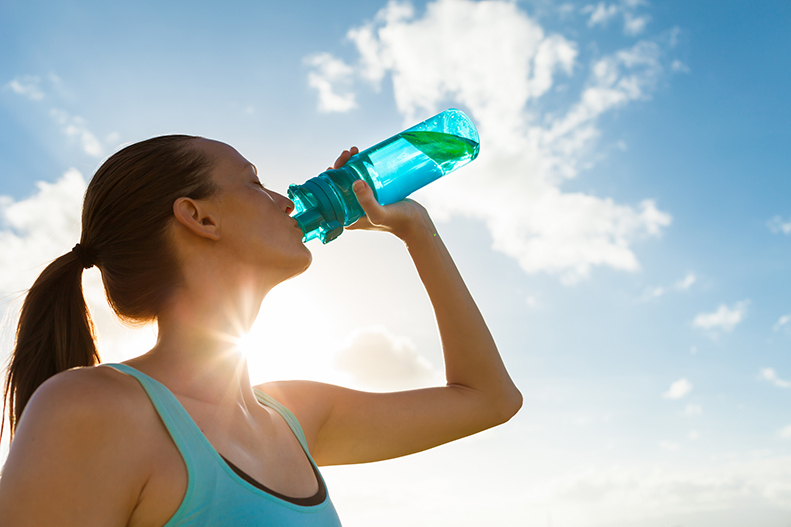 We all the importance of hydration in body’s health in summer. It holds good to skin as well. Dehydrated skin does not perform its protective functions well and it is also more prone for damage and infections. So drink at least 2-3L of water everyday. Stay away from aerated drinks and fruit juices with added sugar. They can cause osmotic dehydration, add unnecessary empty calories, may as well increase your acne. Donot forget to apply sunscreen around your eyes as most people forget to apply sunscreen around eyes. Use UV protective sunglasses to prevent cataract formation. 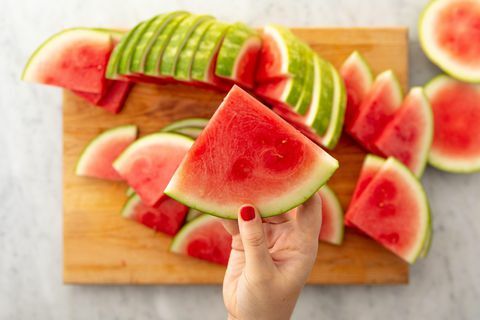 Apart from your routine diet, have fruits and veggies with high water content like watermelon, cucumber, musk melon in plenty. Citrus fruits have a lot anti-oxidants and are great help in damage repair of your skin.